F M Berkheimer Inc is proud to serve the Dillsburg community! 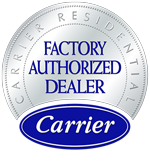 About Dillsburg, PA - Happy to be your hometown Heating & Air Conditioning Contractor! 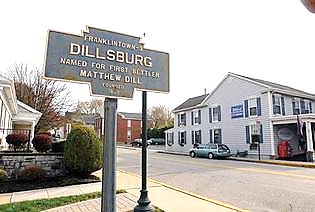 Dillsburg is located in York County, Pennsylvania, approximately 15 miles southwest of Harrisburg and 75 miles north of Baltimore, Maryland. Established in 1740, the city is home to more than 2,500 residents, who enjoy the excellent schools, attractive neighborhoods, and outstanding community amenities that make it a great place to live. Dillsburg is served by the Northern York County School District and is located within 15 miles of several colleges and universities that include Penn College, Harrisburg Area Community College, and the Harrisburg University of Science & Technology. Dillsburg is a great place to work and do business. The city’s vibrant economy is supported by a core group of businesses based largely in manufacturing, retail, finance, and insurance. Economic amenities such as low unemployment, affordable housing, and median household incomes in the mid-50s continue to attract new residents and businesses to the city each year. Dillsburg’s rotating seasonal climate produces mild summers and cold snowy winters – perfect weather for enjoying the numerous opportunities for year-round outdoor sports and recreation that dominate the region. The city is surrounded by designated State Game Lands – recreational lands owned and operated by the state of Pennsylvania that are open to the public for hunting, trapping, and fishing. These lands offer excellent in-season hunting for deer, wild turkey, pheasant, and grouse and feature additional amenities such as public shooting ranges, snowmobile trails, and several hundred miles of multi-use roads and trails open for bicycling and horseback riding during the hunting off-season. Dill’s historic past can be revisited at Dill’s Tavern and Plantation, an 18th century stone structure situated on 2.5 acres that is maintained and operated by the Northern York County Historical & Preservation Society. Listed on the National Register of Historic Places, the tavern features a grand ballroom, brick courtyard, and spectacular gardens and is available for weddings, family reunions, and other group gatherings. Dillsburg hosts a number of festivals and special events each year, including the Dillsburg PickleFest, held each May, and the VFW Parade, held Memorial Day weekend in downtown Dillsburg. The Dillsburg Farmers Fair is the highlight of the year. Held the last week of October, the six-day event features an arts and crafts fair, antique car show, open-air market, pageants, parades, children’s events, and more at various locations throughout the community. Situated at the crossroads of State Route 15 and State Route 74, Dillsburg is a great place to live or visit in south-central Pennsylvania!